Spring is one of my favorite times of year on the lake. The trees and flowers are popping with color, the lake has a deep, clear color as it reflects the sky and the sun. The water temperature is rising in preparation for the first swim or ski run of the season. Boats are prepped and launched, allowing us to further explore the beauty of the lake. 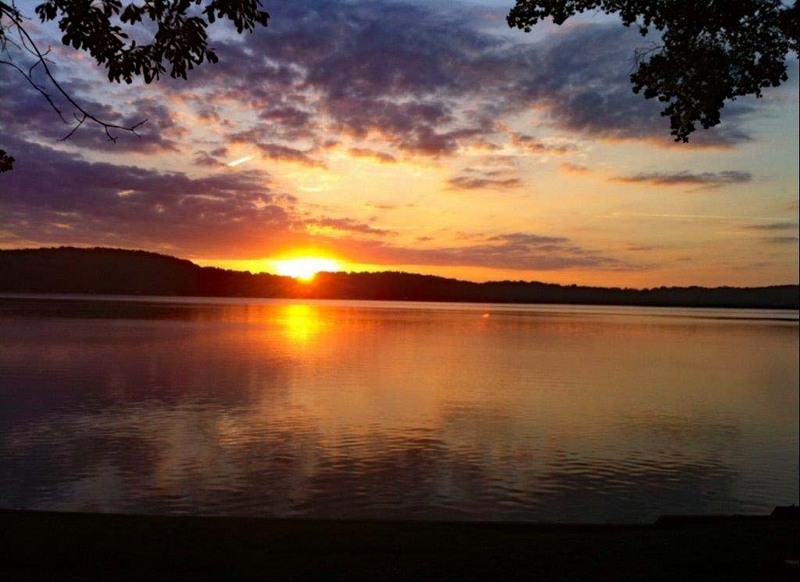 If you happen to be in our area this Sunday and are looking for a place to celebrate Easter on the lake, Hartwell First United Methodist Church is hosting a sunrise service at 7:00 AM at 400 Methodist Park Lane in Hartwell. Happy Easter. 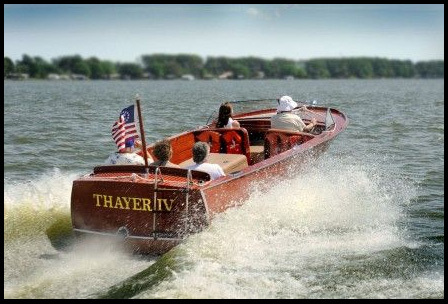 Many of us have fond-a memories of the Thayer IV being piloted by Henry Fonda on the big screen in On Golden Pond. That boat was gorgeous but somewhat underpowered by Gar Wood's vision of what an all wood boat should be. He named her Miss America X, and let's just say she was built for speed. Can you imagine the sound of 6400HP rolling down the lake? And can you believe Gar made this happen in 1932? You have to see it (and hear it) to believe it. And if this gets you excited about seeing some all-wood antique boats (possibly with a little less HP), you should stop by Hartwell Marina this Saturday, April 13th, from 10AM to 2PM, for the Lake Hartwell Antique Boat Festival. And don't forget to save some time to let us help you find your spot on the lake. The Seneca River flows out of Lake Keowee through Keowee Dam into Lake Hartwell, and Seneca SC marks the confluence of these two upstate lakes. 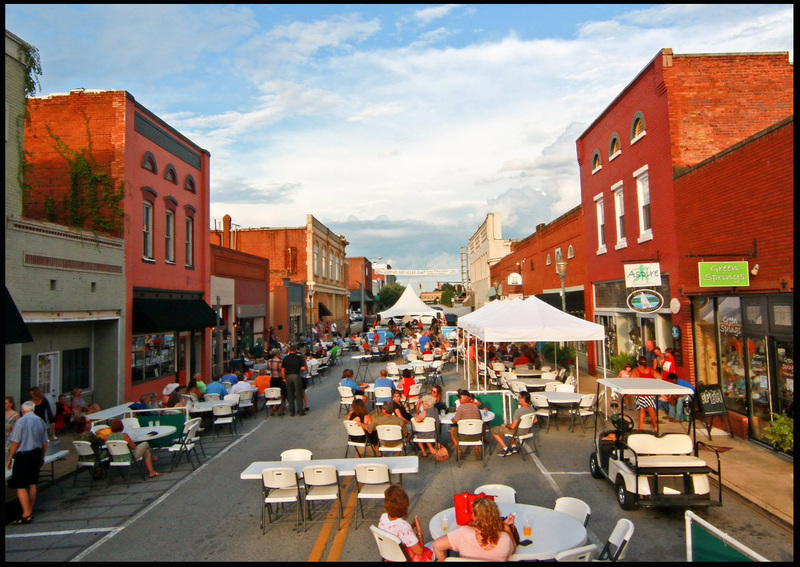 Tonight would be the perfect time to discover the town of Seneca as Ram Cat Alley kicks off its first Thursday night of Jazz on the Alley. If you aren't able to make it tonight, the music continues on Thursday nights through April. And don't forget to save some time to let us help you find your spot on the lake. Lake or Golf...Why Not Both? For those looking for a nice golf community on Lake Hartwell, Chickasaw Point in Westminster is one of the best options available. There is a great mix of vacation homeowners and full-time residents both on and off the lake. In addition to an 18-hole golf course, the neighborhood has a large pool, tennis courts, community boat docks, a gated entrance, and coming soon, a brand new event center. 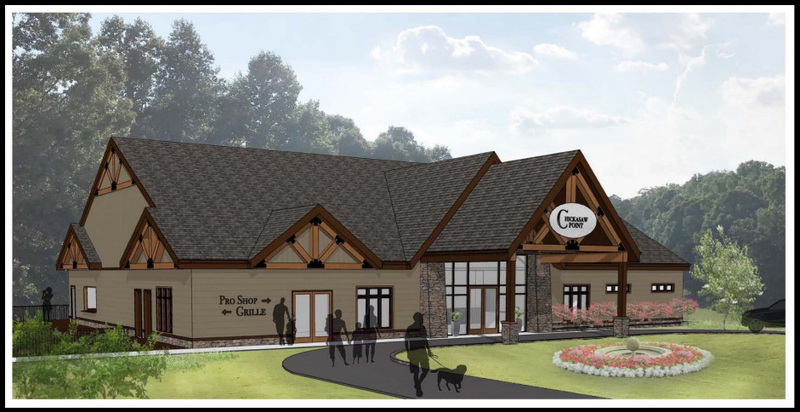 The new building will include the golf pro shop and grill and will be a great space to host social events and golf tournaments. If you'd like to go ahead and secure your lakehouse in Chickasaw Point at a very reasonable price, check out the new listing at 108 Briar Court. In January, we had the opportunity to see hundreds of new boats at the Atlanta and Greenville boat shows. If you made it to one of those shows, and saw a boat that you would really like to drive before purchasing, you may want to make your way to the On-The-Water Boat Show at Lake Keowee on April 27th and 28th. Click here for details. And if you haven't been on Lake Keowee before, this is a great chance to see the lake from the water. Lake Keowee is in Upstate SC just above Lake Hartwell and is managed by Duke Power. The topography is similar to Lake Hartwell, but some homeowners get mountain views looking towards the northwest. The mountain views are great, but those properties will carry about a 50% premium over other lakefront properties. We are very familiar with Lake Keowee and would love to help you decide if it might be a match for you. As the weather begins to improve, our thoughts turn to getting outside and being more active. I always look forward to the Hartwell Dam Run which is held the first Saturday in May. The 41st annual 5k/10k run will be on May 4th this year. The 10k race starts in Georgia, proceeds across the Savannah River into South Carolina and then comes back into Georgia across Hartwell Dam. The 5k starts in SC and finishes in GA. The views are spectacular, and as you might imagine, the run across the dam back into GA is completely flat. I like that. For more details and to register, click here. The race organizers have stated that there will be no race-day registration, as they have had in the past. 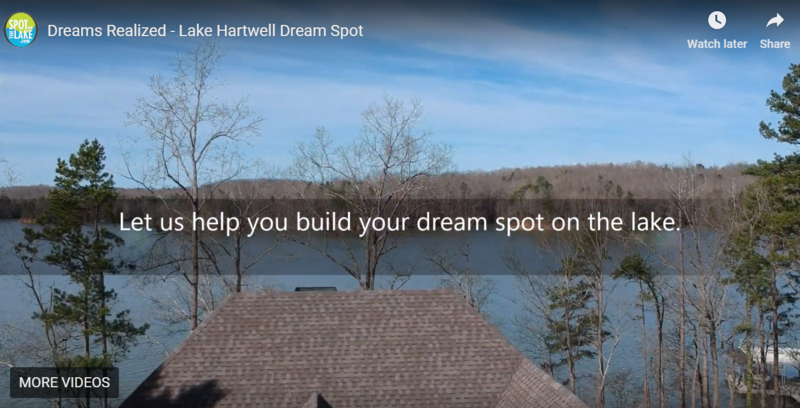 For the past several months, we have been posting updates on the Lake Hartwell Dream Spot. We helped our clients find a gorgeous lot, and after a smooth build process, they have moved into their new home. Check out this video showing the full project from beginning to end, and give us a shot at finding your spot on the lake. And if you already have a lot, and have been thinking about building, we can help you make it happen. Check out these great floor plans at different price points. Last week, we reported the Q4 2018 Lake Hartwell market update. The report showed a reduced inventory of homes, signaling a shift towards a seller's market. 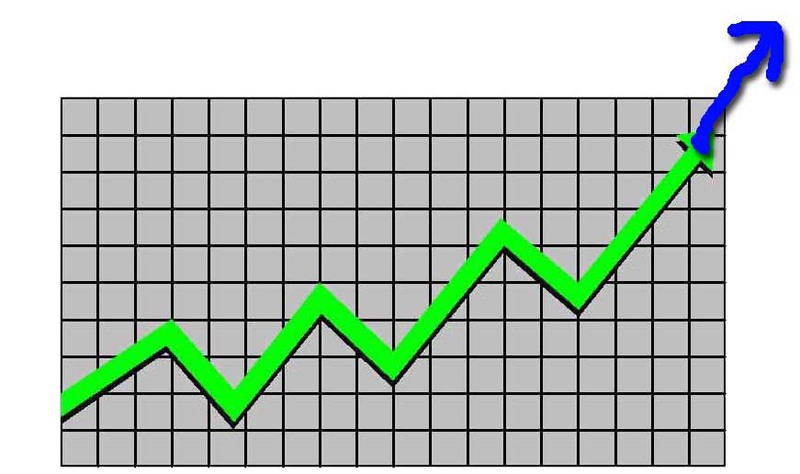 I wanted you to know that the prediction now has some hard data to accompany it in just the first month of the year. Our team has 10 new properties under contract since January 1st. 7 of those properties are our listings. 3 of the 7 had multiple offers. In 2018, we only had 2 listings with multiple offers all year long. I acknowledge that January could be a blip on the radar, and things could go back to the way they were this month, but I don't think so. I haven't seen this type of shift in the 16 years that I have been practicing real estate at the lake, and I want the people in our network to be the people with the best, most current, information about our market. If you are a buyer considering Lake Hartwell, I encourage you to look hard at what is currently available. If you are thinking of selling, this is the best possible time to list your property with us. You guys know the song: "I am woman, hear me roar....." Meagan Ethell takes the mantra, "strong woman" to the next level. She is one of the world's strongest wakeboarders, male or female. As the temperatures have finally gotten cooler, I thought we should take a moment to look forward to the fun we could be having on Lake Hartwell next spring. Now is the time to lock in your spot on the lake. Click here to see if Meagan can land this trick. 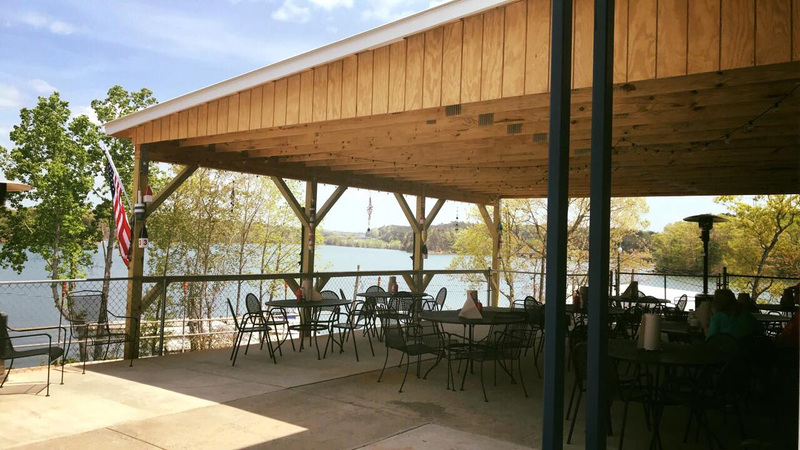 I am excited to announce that Lake Hartwell's best lakefront restaurant, Tilly's Tiki Bar and Grill, has announced that it will remain open on Thursday through Sunday throughout the year. 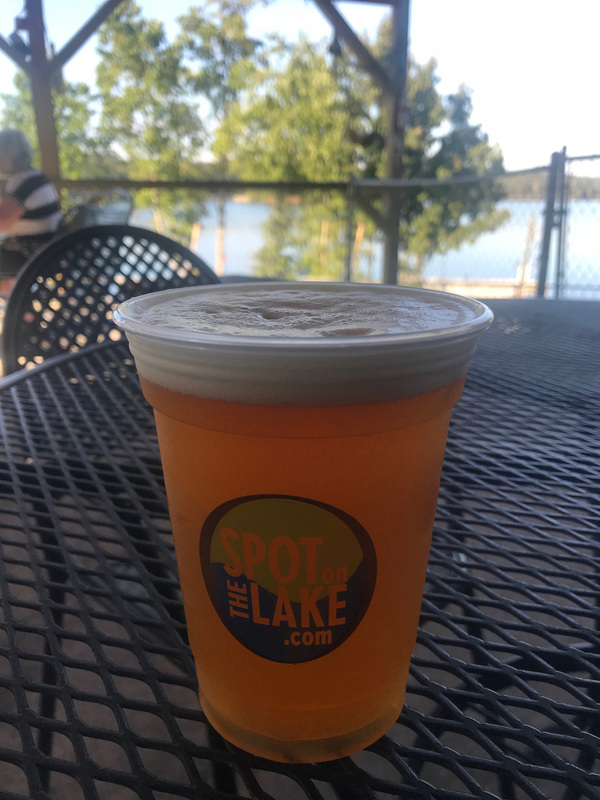 With cooler fall temperatures approaching (hopefully soon), having a meal or a draft beer on the covered patio overlooking the lake can make for an awesome afternoon or evening. If you haven't visited Tilly's yet, now is a perfect time, and if you are a regular like me, you can now enjoy the restaurant year-round. 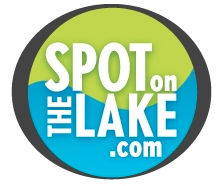 If you are visiting the area, make sure to save time to let us help you find your spot on the lake.